Author(s): Arjan van der Vaart, Department of Chemistry, University of South Florida, 4202 E. Fowler Ave. CHE 205, Tampa, FL 33620,, United States	Alexander Lorkowski, Ning Ma, Geoffrey M. Gray. As the heterodimerization partner for a large number of nuclear receptors, the retinoid X receptor (RXR) is important for a large and diverse set of biochemical pathways. Activation and regulation of RXR heterodimers is achieved by complex allosteric mechanisms, which involve the binding of ligands, DNA, coactivators and corepressors, and entail large and subtle conformational motions. 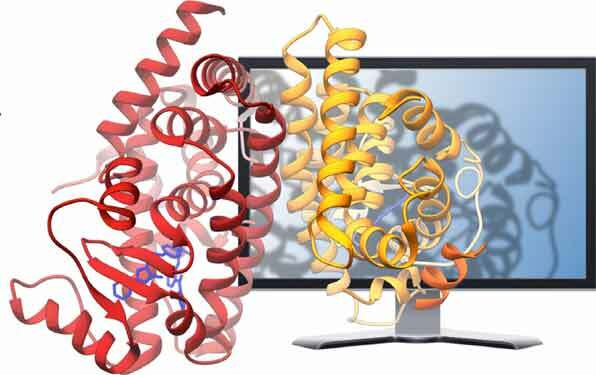 Complementing experiments, computer simulations have provided detailed insights into the origins of the allostery by investigating the changes in structure, motion, and interactions upon dimerization, ligand and cofactor binding. This review will summarize a number of simulation studies that have furthered the understanding of the conformational dynamics and the allosteric activation and control of RXR complexes. While the review focuses on the RXR and RXR heterodimers, relevant simulation studies of other nuclear receptors will be discussed as well. Keywords: Retinoid X receptor, Nuclear receptor, Simulation, Molecular dynamics, Allostery, Conformational dynamics. Keywords:Retinoid X receptor, Nuclear receptor, Simulation, Molecular dynamics, Allostery, Conformational dynamics. Abstract:As the heterodimerization partner for a large number of nuclear receptors, the retinoid X receptor (RXR) is important for a large and diverse set of biochemical pathways. Activation and regulation of RXR heterodimers is achieved by complex allosteric mechanisms, which involve the binding of ligands, DNA, coactivators and corepressors, and entail large and subtle conformational motions. Complementing experiments, computer simulations have provided detailed insights into the origins of the allostery by investigating the changes in structure, motion, and interactions upon dimerization, ligand and cofactor binding. This review will summarize a number of simulation studies that have furthered the understanding of the conformational dynamics and the allosteric activation and control of RXR complexes. While the review focuses on the RXR and RXR heterodimers, relevant simulation studies of other nuclear receptors will be discussed as well.